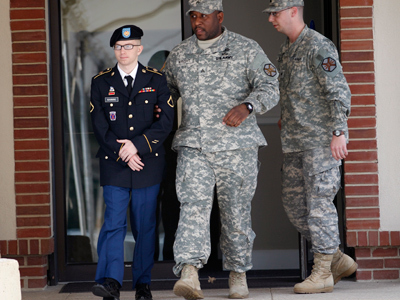 A US military psychiatrist decried the conditions in which alleged whistleblower Bradley Manning was kept as “senseless.” The doctor’s advice to lift harsh suicide watch conditions was ignored by military commanders, violating marine conduct rules. Captain William Hoctor, a navy doctor charged with evaluating Manning on a weekly basis while he was incarcerated in a Marine Corps brig in Quantico, Virginia, from July 2010 to April 2011. He told a court at a pre-trial hearing that his advice to withdraw Manning from the strict suicide watch under which he was being kept was ignored. 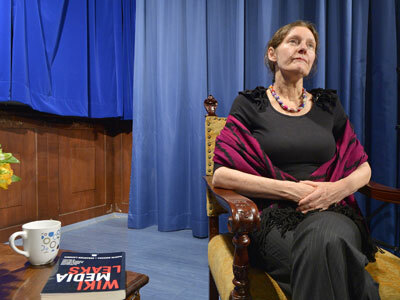 "I had been a senior medical officer for 24 years at the time, and I had never experienced anything like this. It was clear to me they had made up their mind on a certain cause of action, and my recommendations had no impact," Hoctor said. He went on to add that it all seemed really “senseless” and he had never encountered such unresponsive military staff even when he worked with terror suspects at Guantanamo bay. 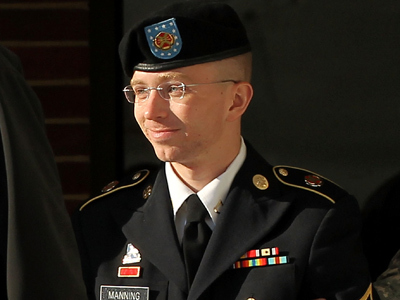 Manning, 24, who is accused of leaking classified military information, is expected to testify during his pre-trial hearing that began on Monday. 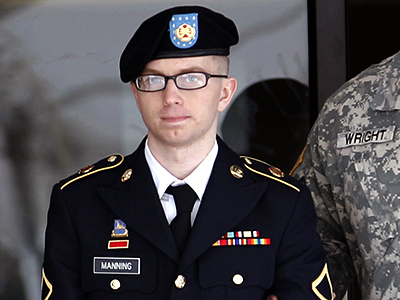 Hoctor originally recommended that Manning be put on suicide watch after he had previously mentioned killing himself while being held in Kuwait. However, after Manning was transferred to the Marine Corps brig in Quantico on July 29 2010, Doctor Hoctor reassessed his original diagnosis and advised that the prisoner be taken off suicide watch, maintaining that he no longer posed a threat to himself. "I was satisfied he no longer presented a risk. He did not appear to be persistently depressed, he was not reporting suicidal thoughts. In general he was well-behaved." Military officials in control of the brig said that they did not follow the doctor’s guidelines because one of his previous patients had committed suicide. Colonel Robert Oltman, one of the officers that ran the brig, told the court he “did not have the utmost confidence in Captain Hoctor,” and therefore sought a second opinion. As part of the suicide watch Manning was kept in his cell for almost 23 hours a day, being checked on every five minutes and sleeping on a suicide mattress with no bedding in conditions akin to “the functional equivalent of solitary confinement." 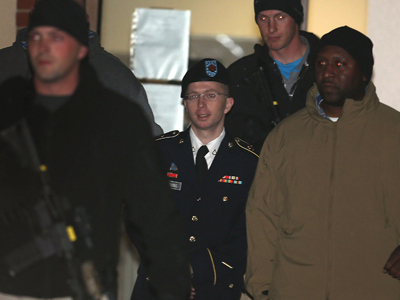 Manning’s lawyer argues that the conditions he was kept in during his detention in Quantico were tantamount to pre-trial punishment and hopes to have the charges set against his client dismissed. Manning was moved to Fort Leavenworth, Kansas, after Quantico brig was closed down, with conditions there considerably better. 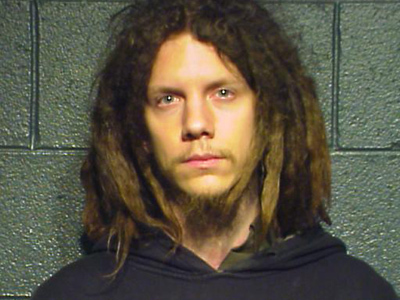 The army private and intelligence analyst was allegedly involved in the largest security breach in US history and charged with 22 crimes, including aiding the enemy, a charge that carries the death penalty in a court martial. He allegedly accessed 250,000 US diplomatic cables to the whistleblower website WikiLeaks for publication in 2010. “He was not allowed to do exercise in cell, he was not allowed to lie down, he was required to sit up without leaning against the wall,” said Zeese. 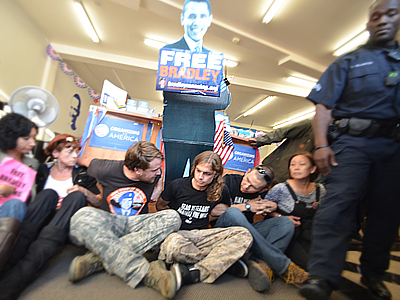 He described the US government’s treatment of Manning as part of a wider clampdown on whistleblowers, slamming President Obama as “one of the most aggressive enforcers against whistleblowers” in presidential history.